Sacramento, CA – The California State Senate rejected secrecy about physician sexual assault and other doctor misconduct today when it voted 28-3 to support SB 1448 by Senator Jerry Hill (San Mateo) to require physicians disclose to their patients when they are on probation for causing patient harm. The California Medical Association opposed SB 1448 despite amendments taken by Senator Hill to narrow the bill to require disclosure only by physicians on probation for the most serious violations involving sexual misconduct, drug abuse, a criminal conviction or overprescribing that results in patient harm. "28 Senators had the courage today to stand up to the medical lobby and say #TimesUp for physician sexual assault. Today’s vote says the California Senate will not stand for secrecy around sexual assault and other egregious doctor misconduct that causes patient harm,” said Carmen Balber, executive director of Consumer Watchdog. 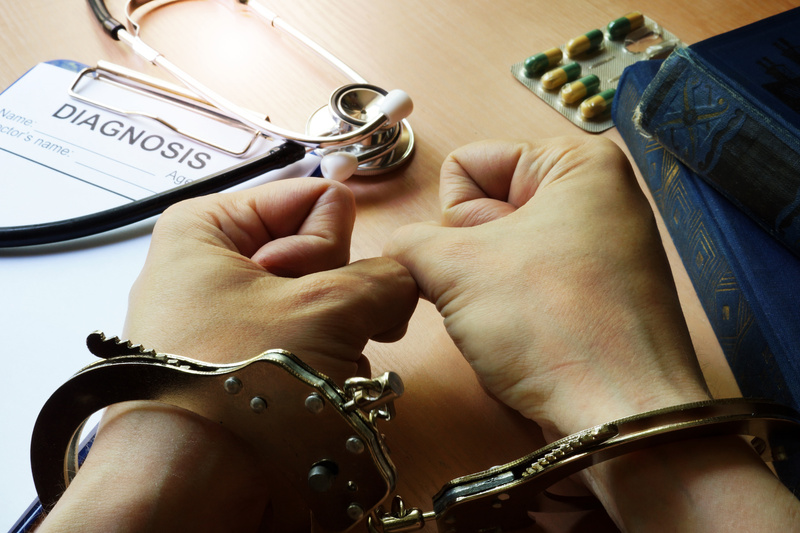 Doctors are required to tell their insurance company and the hospital or clinic where they work when their misconduct lands them on probation, but their patients are kept in the dark. Although California mandates that doctor disciplinary information be disclosed online, the requirement is meaningless to patients who don’t know they should look, said Consumer Watchdog. “Californians are still reeling from the latest revelation that the University of Southern California chose to hide allegations from dozens, if not hundreds, of USC students that they were sexually assaulted by the school gynecologist, allowing him to continue practicing to assault other patients. It's shameful that doctors’ lobbyists at the California Medical Association continue to oppose the basic transparency required by SB 1448. Patients have a right to know so they can make informed medical decisions and be able to protect themselves. We applaud the 28 Senators who backed SB 1448 for placing patient safety above protecting doctors,” said Balber. The Senate Floor vote was 28-3. The 28 Senators who voted to lift the veil of secrecy and protect patients were Senators: Atkins, Beall, Bradford, Cannella, De León, Dodd, Galgiani, Glazer, Hernandez, Hertzberg, Hill, Hueso, Jackson, Lara, Leyva, McGuire, Mitchell, Monning, Morrell, Newman, Nguyen, Portantino, Roth, Skinner, Stern, Wieckowski, Wiener and Wilk. The 3 Senators who voted to preserve secrecy for dangerous doctors were: Anderson, Gaines and Vidak. Eight Senators did not vote: Allen, Bates, Berryhill, Fuller, Moorlach, Nielsen, Pan and Stone. An average of 600 doctors are on probation at any given time in California, for reasons ranging from sexual assault, to overprescribing narcotics to gross negligence that causes a patient death. SB 1448 would require disclosure of an estimated 100 cases or less per year. Earlier this year, patients who were assaulted by their physician testified in Sacramento. Olympic gymnasts Jordyn Wieber and Jamie Dantzscher, former US national gymnastics team member Jeanette Antolin and star athlete Tiffany Thomas Lopez, who played softball for Michigan State University, also spoke in support of SB 1448 earlier this month. Their testimony in the case of Larry Nassar helped bring the disgraced doctor to justice.